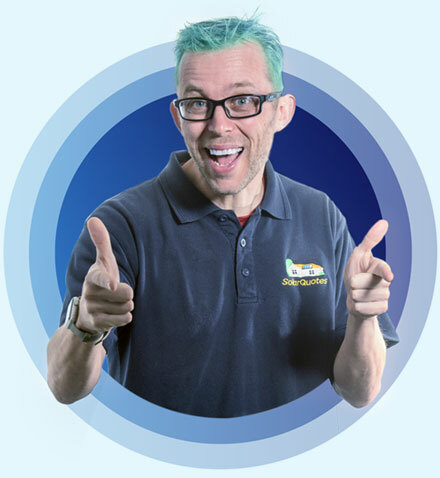 Today I’m best known for running my successful solar business, SolarQuotes®, and writing and presenting on solar energy topics. I am an engineer who quit the rat-race to become a green entrepreneur and author. I live in a straw-bale, solar home in Adelaide, Australia with 3 kids and 4 bikes. It took me a long time to get here, and I’ve come a long way. Half way around the world in fact. I’ve also made a lot of mistakes and false starts as you’ll read below. 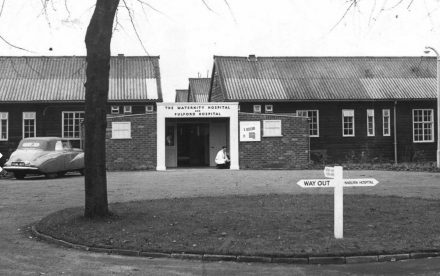 1974: I was born to a Finnish Mum and South African Dad, in Fulford Maternity Hospital (next door to York Lunatic Asylum) in North Yorkshire. If you are wondering how a South African met someone from Northern Finland, and settled in Yorkshire, they met at a anti-Apartheid conference in South Africa and decided that York would be a nice place to settle. 1982: I get my first computer. 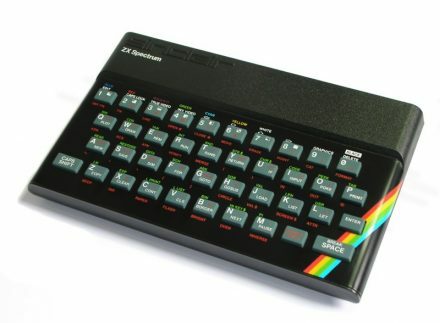 A Sinclair Spectrum 48k. When I’m not playing Manic Miner, I’m learning to program it. My first computer that I used to learn coding. 1987: I score my first and last TV acting role as a school bully in ‘The Book Tower’ on Yorkshire TV. 1992: I go to Lancaster University to study Mechatronic Engineering. 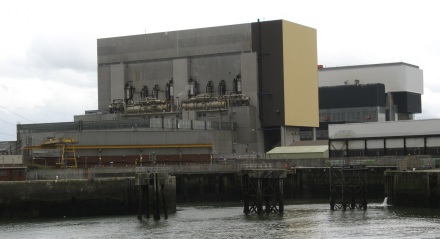 1994: I do a ‘Year Out’ working as a Control Engineer at Heysham 1 Nuclear Power Station. I design and install digital boiler control systems. Heysham 1 Nuclear Power Station. My first job. 1996: I study ‘Design, Manufacture & Management’ at Cambridge University. 1997: I get a job with “Huxley Bertram” designing machines in Cambridge, including machines to make kettles, seatbelts, and Lucozade wrappers. 1999: I join a startup in Edinburgh called “Kymata”. I design a machine that aligns fiber optics in 6 axes to an accuracy of 1/400th of a human hair. 2000: I become a Chartered Engineer in the UK. 2001: I get a job for “Photonic Materials” in Glasgow designing machines that grow wine bottle sized sapphires, which then get diced up and used in MRI machines. 2002: I get fired from Photonic Materials for telling the boss how to do his job. It’s raining in Glasgow, and my girlfriend has an Australian passport. She suggests we try living in Australia. So we jump on a plane to Sydney with nothing but our backpacks. 2003: I work in The Occidental Hotel in Sydney. No-one else will give me a job. All the engineering jobs I apply for reject me due to a lack of “Australian experience”. 2004: I finally convince an Australian engineering firm to give me a job. I start work at an Electrical Engineering Consultancy, mostly for mines and coal fired power stations. 2005: I dream of leaving the rat-race. It’s really not for me. I start a company called Mode2 Technology aiming to sell data-visualisation software to big companies. In 12 months I make a grand total of $2,000 in sales. I throw in the towel and go back to a 9-5 Electrical Engineering job. 2006: The impending birth of my first child, Macy, inspires me to create my first online business called YouAreBorn. I write a program that takes snapshots of lots of websites’ homepages every day. I create an interface so that parents can see what happened on the internet on the day their kid was born. I burn the snapshot of the requested date to a CD and sell it to $29.99 through youareborn.com using Adwords and SEO to get customers. It turns over about $1000 a month. A much needed help with the mortgage. 2007: I get fed up working for coal mines. I jump ship across the road (literally) to CSIRO’s ‘Energy Transformed Flagship’ in Newcastle. 2008: I get fed up with Government bureaucracy. Quit my job. Sell my house and most of its contents. Go camping with my pregnant wife and 2 kids under 2. 2009: We arrive in Adelaide. It seems like a nice place. We rent a house. I start SolarQuotes from a walk-in wardrobe. 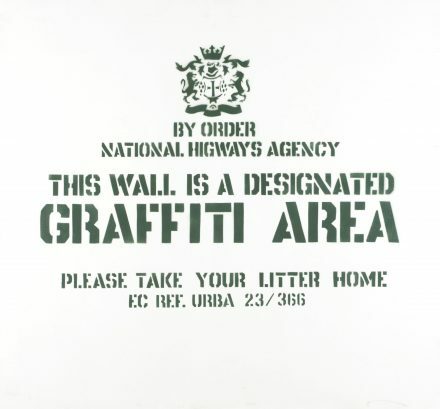 I decide to sell the Banksy to raise funds. He’s now the most famous living artist in the UK so I make a tidy profit – enough to launch my business. 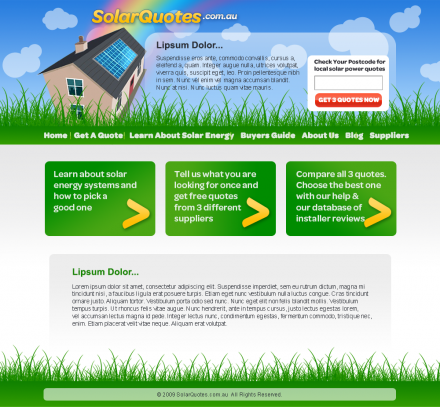 SolarQuotes’ first homepage. It cost me $60. 2010: I’m lucky with my timing. The solar market takes off in Australia and SolarQuotes takes off with it. 2011: Tim Ferriss chooses to feature me as a Case Study in his million seller: The 4 Hour Work Week. I’m working a lot more than 4 hours a week though. 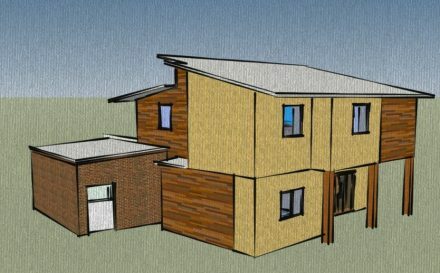 2012: I build a solar passive house from straw in Southern Adelaide. 2013: I start blogging about solar energy. I decide it is more important to tell the truth and be objective than be popular. This causes some problems with solar panel, solar inverter and battery vendors. 2016: I get accidentally invited to the Tesla Powerwall 2 launch in Melbourne. Am told by Tesla employee that there is a company wide rule that no-one is allowed to talk to me. Must have been something I wrote? 2016: I start writing my book. 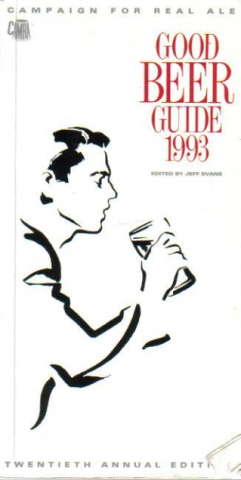 Call it the Good Solar Guide, inspired by CAMRA’s The Good Beer Guide. 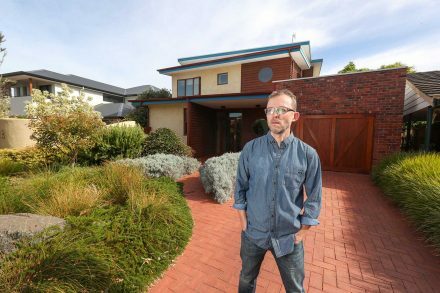 2017: The 300,000th home in Australia registers with SolarQuotes. 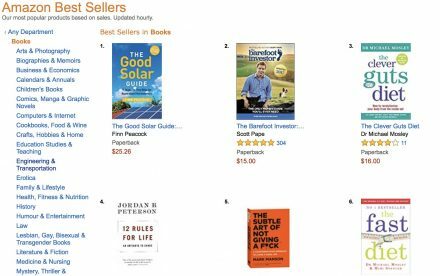 2018: The Good Solar Guide is published. SolarQuotes® now has 10 employees and a new CBD office; currently being fitted out to suit our purposes.